Winners are Mr.Parth Mohan from 9th standard and Mr.Hardik Gupta also from 9th standard. 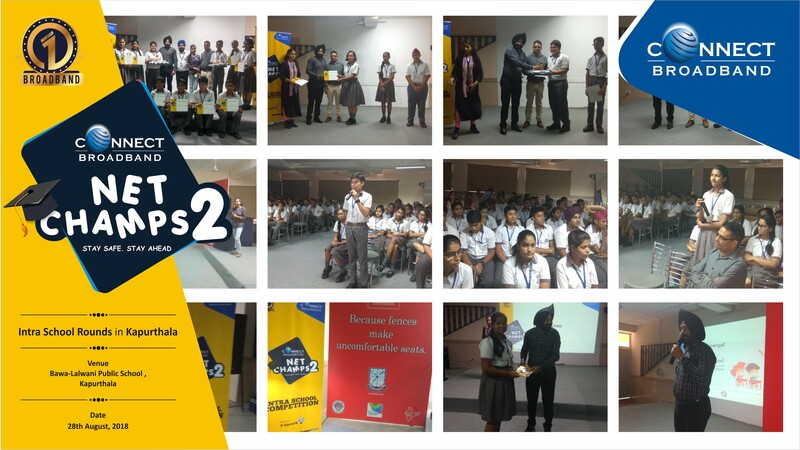 Kapurthala ,August 28,2018: Edition 2 of Connect Net Champs - a program that addresses Internet Security among school students – kicked off its 11th session on Cyber Security at Baba Lalwani Public School , Kapurthala. The session included a thrilling Quiz contest for students. Two candidates were shortlisted for the next round from the school.